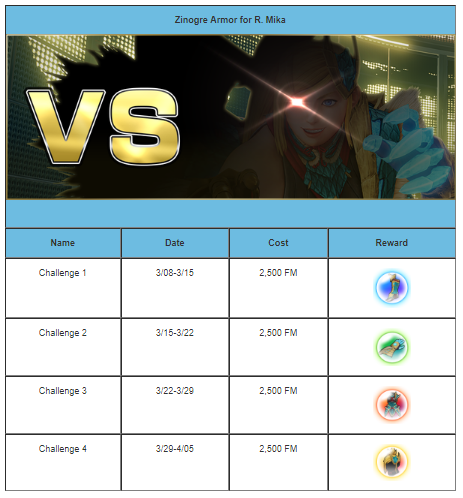 Players will need to beat a set amount of challenges to unlock the skins for Ken, R. Mika, and Ibuki. 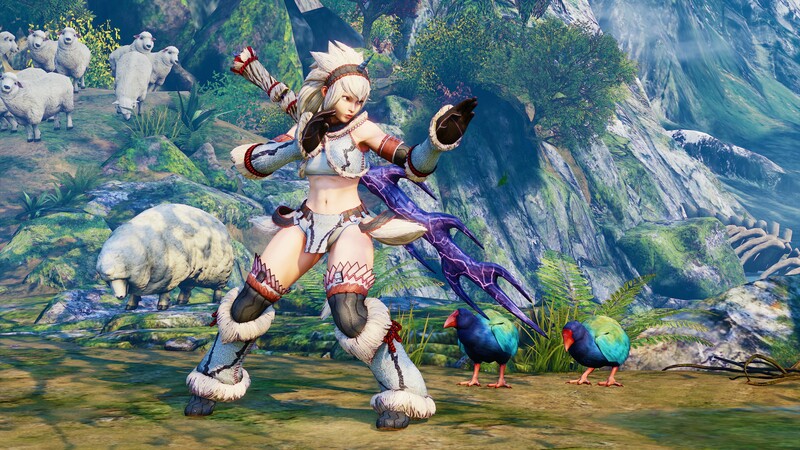 To celebrate the launch of Monster Hunter World on Jan. 26, Capcom is giving a bunch of characters in Street Fighter V new Monster Hunter themed costumes. 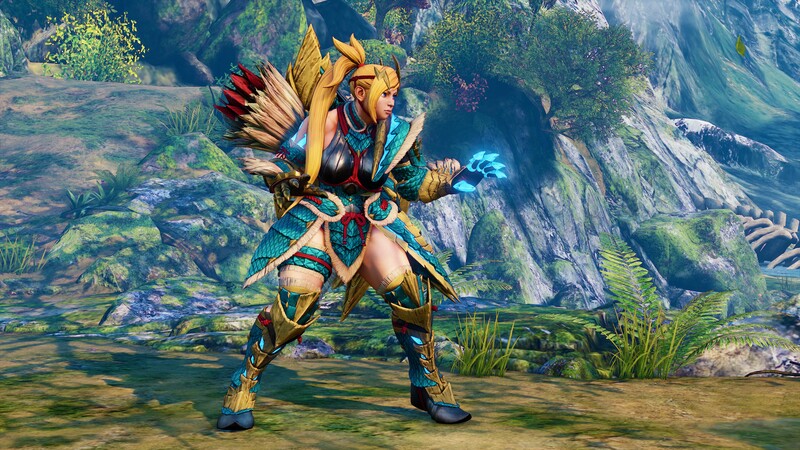 A Rathalos Armor costume for Ken, A Zinogre Armor costume for R. Mika, and a Kirin Armor costume for Ibuki will be available to unlock in the next few weeks with more costumes expected to arrive in the future from other Capcom games. These are the second batch of crossover-themed costumes to be released for Street Fighter V following the Viewtiful Joe and Ingrid costumes released on Jan. 16 for Rashid and Karin. 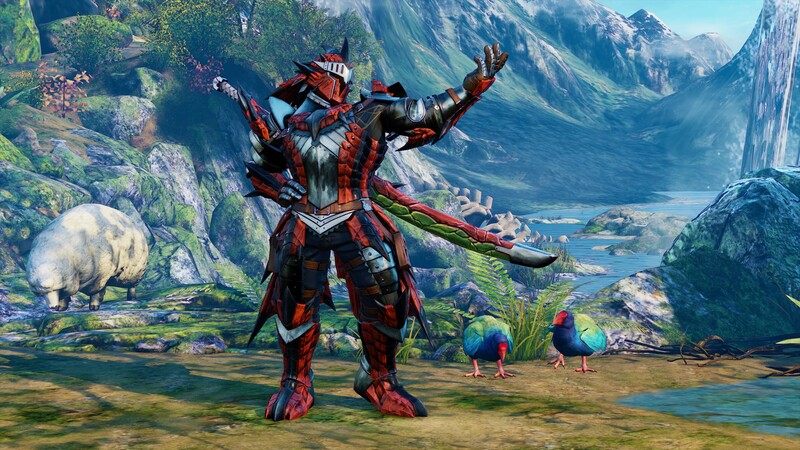 Players will only be able to unlock the Monster Hunter-themed costumes by completing a series of challenges over February and March. To take part in the challenges, players must first spend a total of 2,500 Fight Money, which is the in-game currency used in Street Fighter V. If a player fails the challenge in the set time limit, they will need to spend another 2,500 Fight Money to try it again. 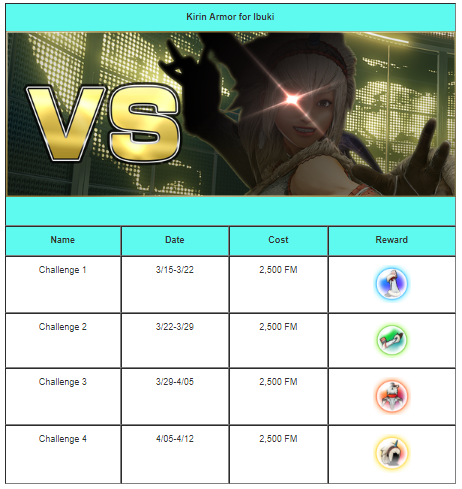 In total, it will cost 30,000 Fight Money overall to unlock every piece of the three costumes available if a player successfully completes each challenge in their first attempt without fail. 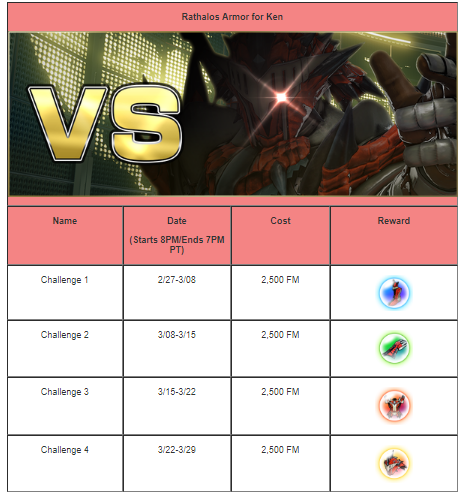 It’s not yet clear what players will need to do in each of these challenges.